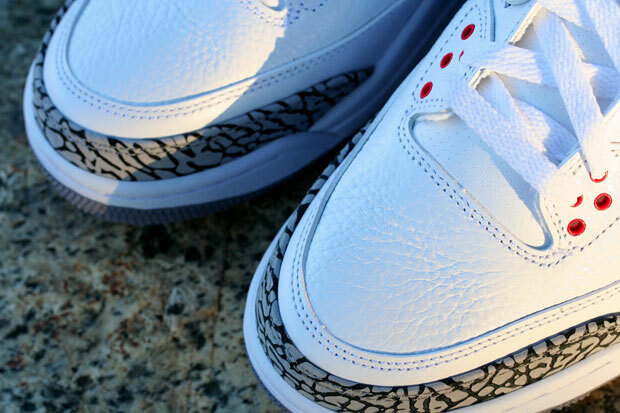 Another Tinker Hatfield classic, the White/Cement Grey Jordan 3 with (G.O.A.T.) Elephant Print. 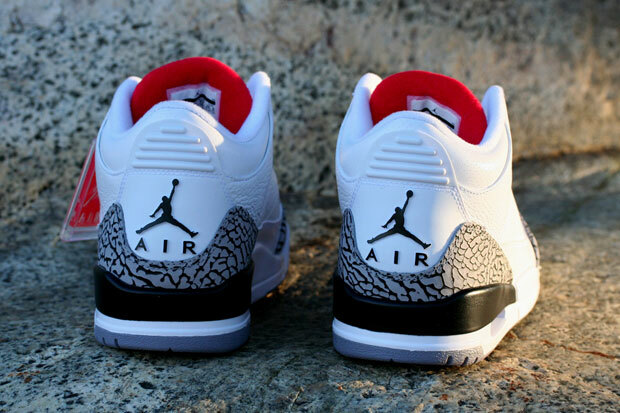 They drop this Saturday at Momentum 8th Street and it’s logical to say that they will not last long. Smooth and wrinkled White leather makes up the upper while Red accents several eyelets and the tongue. Elephant Print encompasses the heel and toe areas to complement the White, and even the outsole attracts the eye as it includes each colour of the upper. 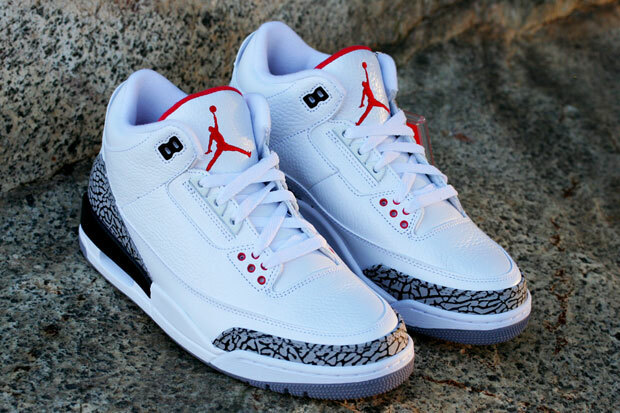 What’s your favorite aspect of this Jordan 3?